The terms "home automation" and "smart home" are often used interchangeably. Actually, there is a small difference between the two. In simple terms, home automation is one among the many things that smart homes can do. 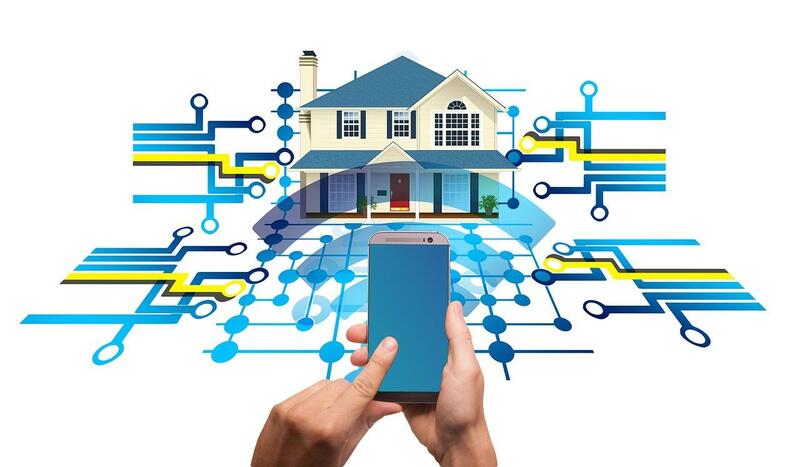 The smart home technology involves connecting devices through Wi-Fi or Z-Wave technology to communicate with other devices inside and outside homes. On the other hand, home automation involves customizing what the devices should tell each other and do so that effort, stress, and unpredictability are taken out of your daily routine. The concept is best explained with the help of an example. When you use your smartphone for tuning on the light in the foyer before you open the front door, your smart home is at work. Now, you can program the hub in your home in such a way that the foyer light is turned on automatically when you open the front door. This is what is referred to as smart home automation. With this background information in mind, let us understand what home automation or smart home automation in Kerala is. Home automation companies makes our life easy to operate various devices and saves energy. It simplifies your life to a great extent. It involves controlling all of the electrical and electronic devices in your home using smart devices, or even remotely by means of wireless communication. This means that it involves centralized control of all lighting equipment, air conditioning/heating systems, audio/video players, security devices, kitchen appliances, and all other systems in your home. Typically, home automation is implemented with the help of sensors, actuators, and control devices. The sensors detect light, motion, pressure, temperature, or level changes and send signals to the controlling devices. Thermocouples or thermistors, level detectors, photodetectors, load cells, current transformers, infrared light, etc., are often used as sensors and they communicate with the controllers through signal conditioning equipment. There are several home automation companies in Kerala providing best home automation services in Kerala with smart technology. Personal computers, laptops, touch pads, and smartphones can be used as controllers by attaching them with programmable logic control systems, which receive signals from the sensors and transmit them to the actuators to act as per the pre-fixed program. The can be modified depending on changes in requirements. Various sensors and actuators are linked through analog or digital input and output modules to the programmable logic controller. This is by far the cheapest option for home automation. It doesn't call for use of additional cables for communication. Such systems use the existing power lines to communicate with the devices. However, the complexity involved is high and necessitates additional converter circuits and devices. In the case of this type of a system, all of the home appliances are connected to the main programmable logic controller through communication cables. The actuators attached to the devices in your home communicate with the main controller. The operation of the devices can be managed centrally from your personal computer that communicates continuously with the controller. This is an extension of the wired system. They make use of wireless technologies such as infrared, Zigbee, Wi-Fi, Bluetooth, etc. for remote operation. For example, when you use a GSM based system, you can control the home devices by sending an SMS to the GSM modem. Amie Connect is one of the best home automation company Kerala provides best wireless home automation services at affordable cost in Kerala.